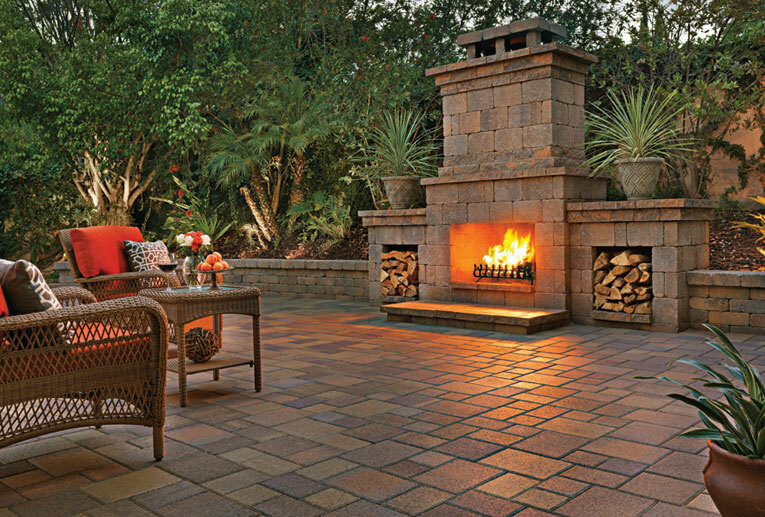 Tuscan Rustic Wall fireplace and seating wall with a 50/50 blend of Sand-Stone-Mocha and Tuscan Courtyard Stone pavers in an ashlar pattern. 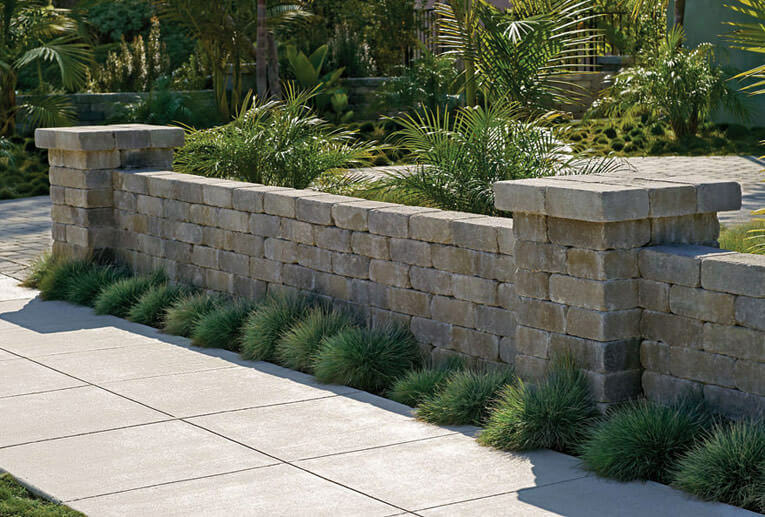 Gray-Moss-Charcoal Rustic Wall Stone. 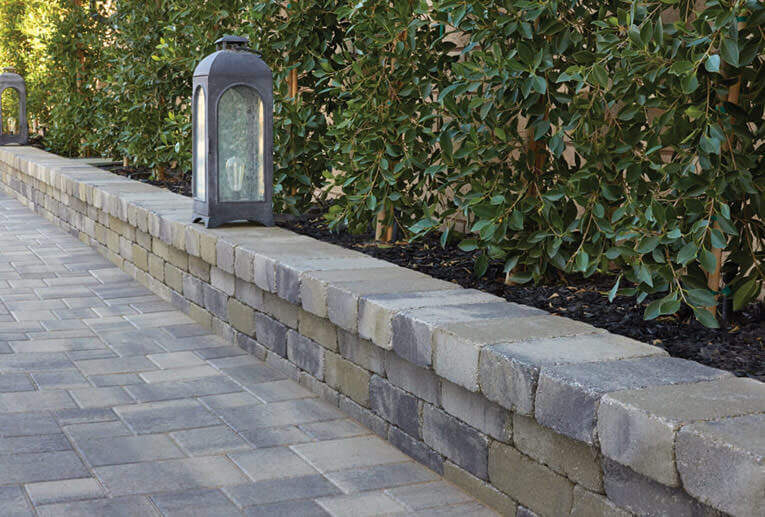 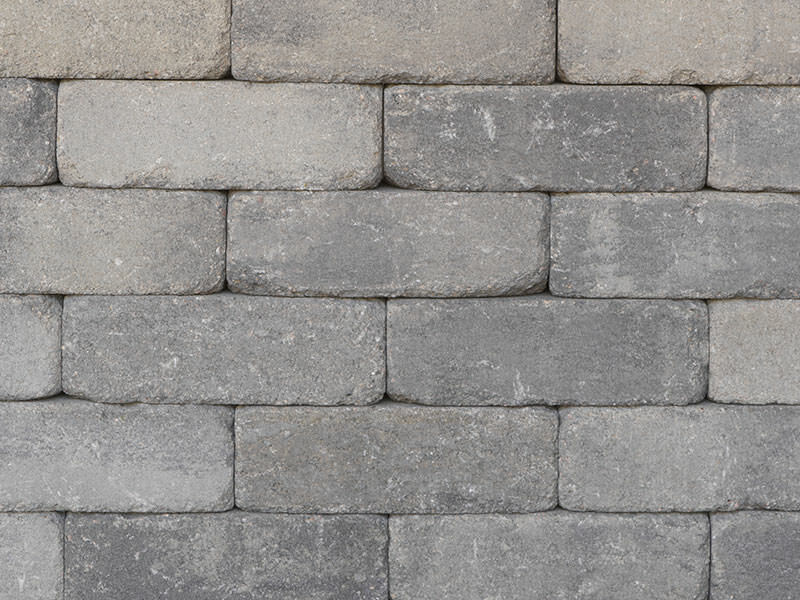 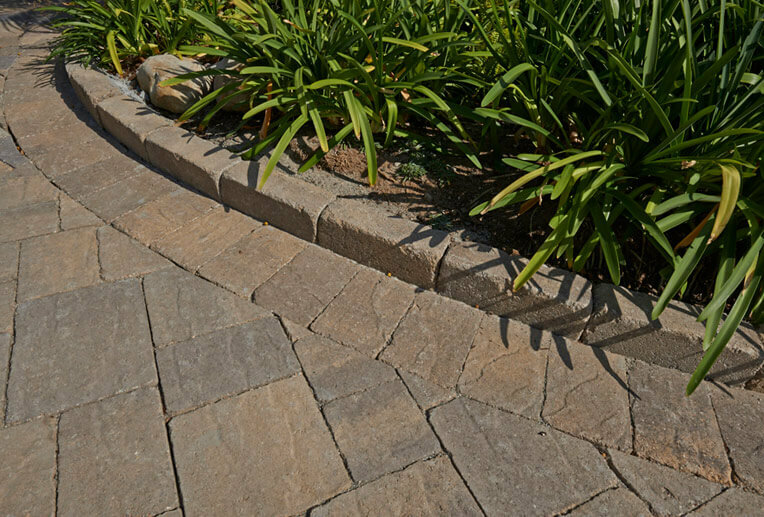 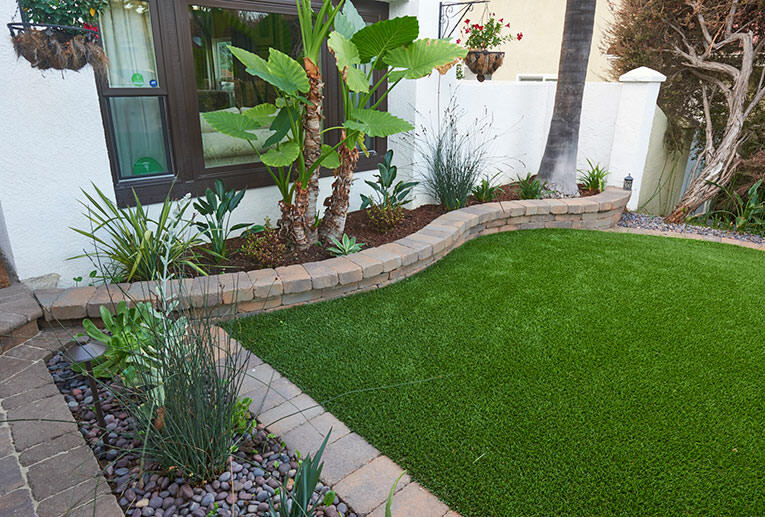 Pavers are Gray-Charcoal Courtyard combo stone in an ashlar pattern. 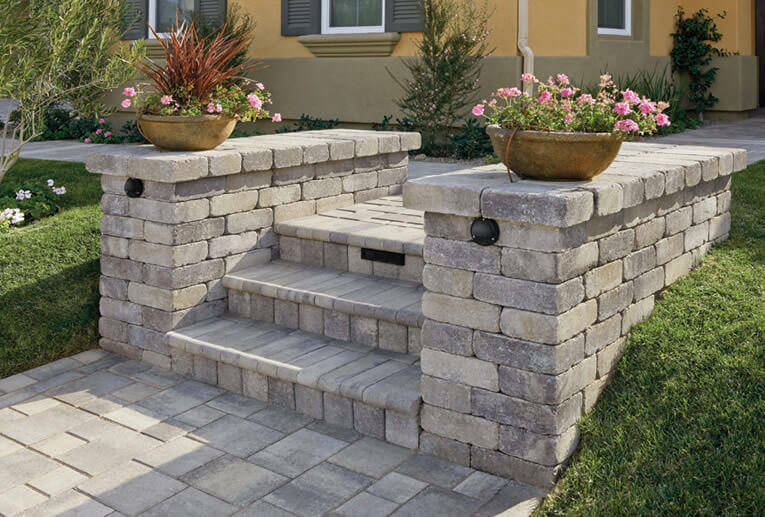 Steps are Gray-Charcoal Bullnose. 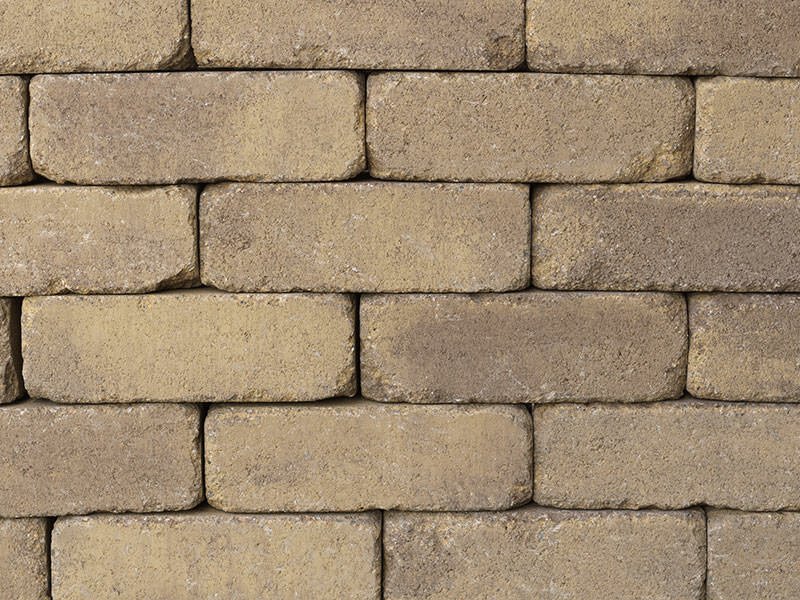 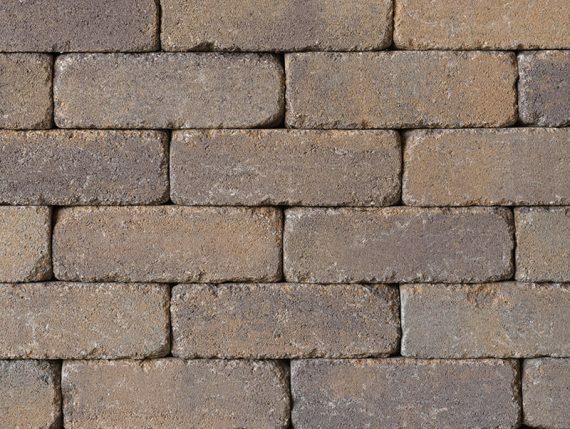 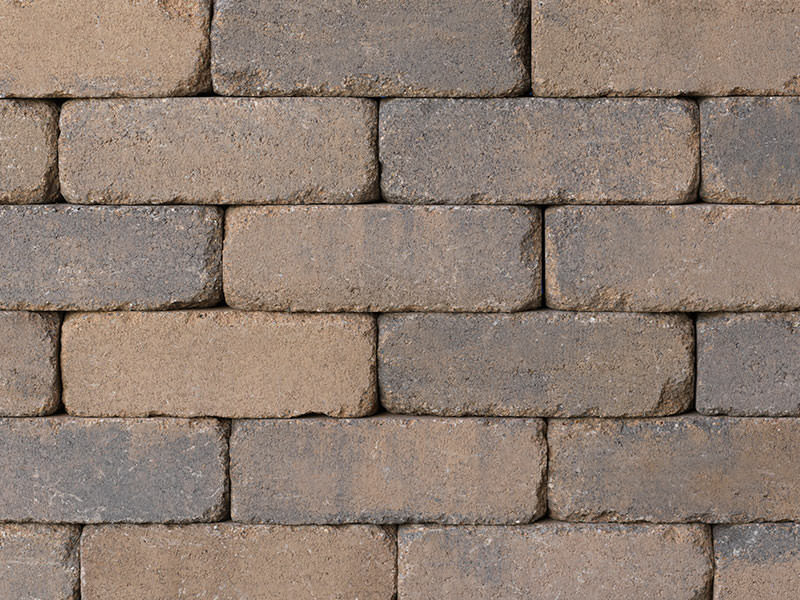 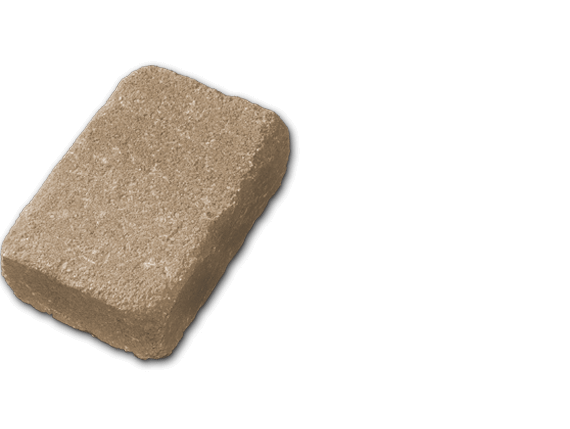 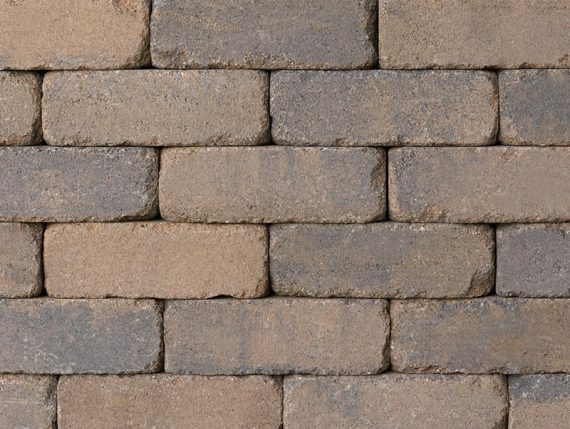 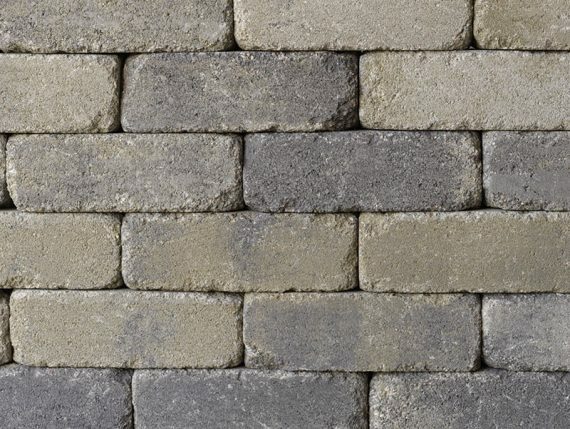 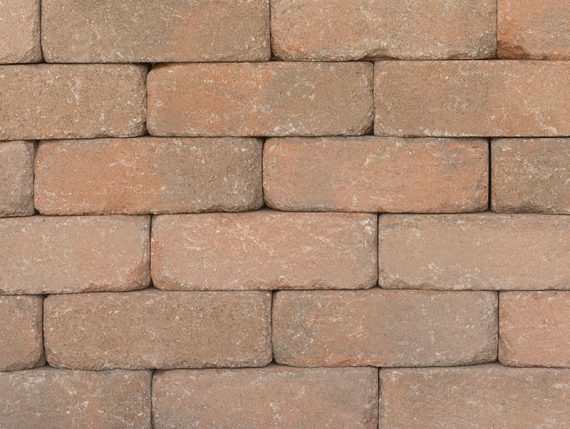 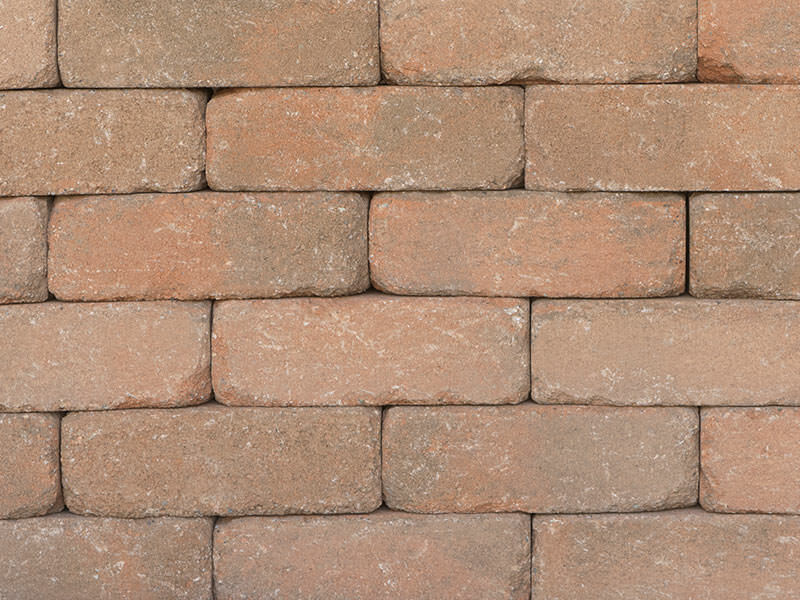 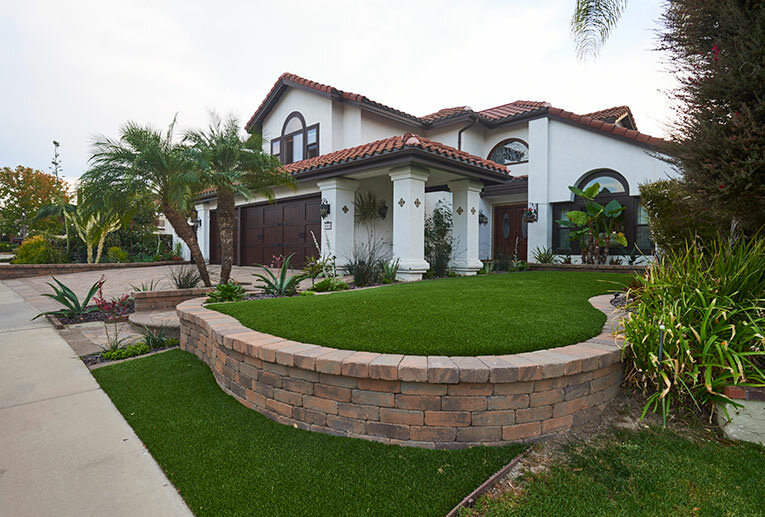 Sand-Stone-Mocha Rustic Wall Stone and Sand-Stone Castle Cobble II (tumbled) pavers with a solid Sand-Stone Estate Cobble II (tumbled) border. 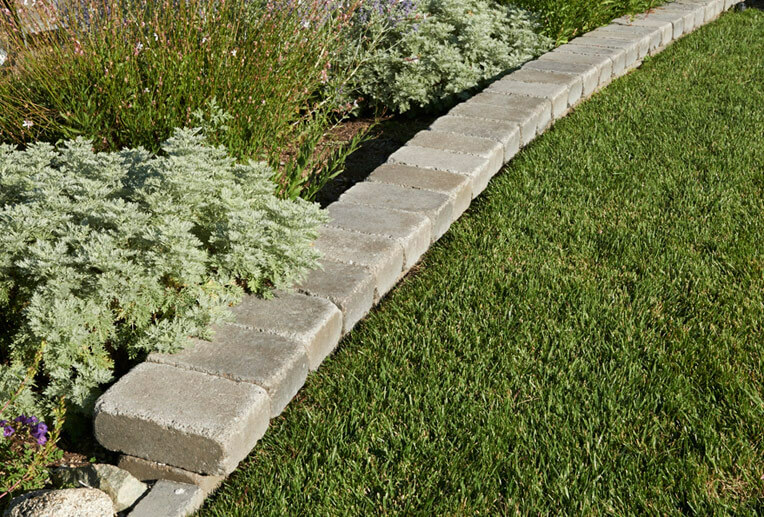 Tuscan Rustic Wall lawn edger and planter. 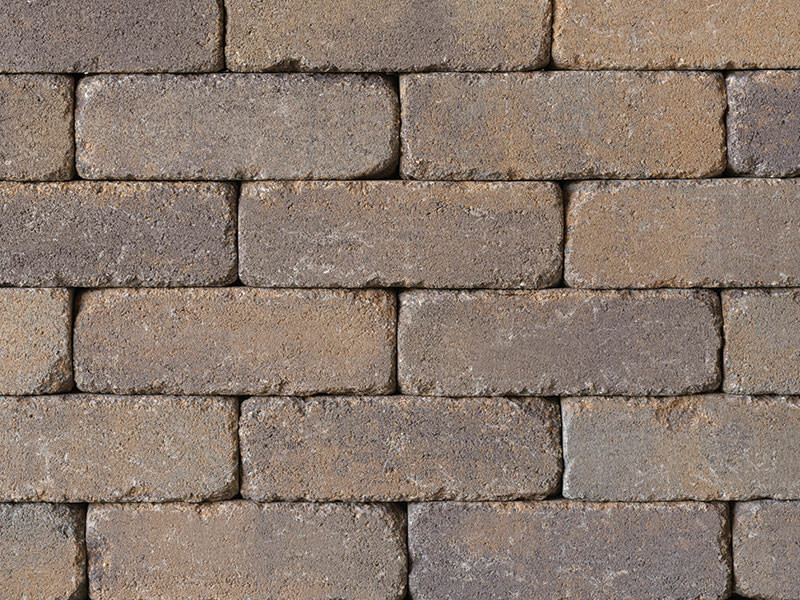 Tuscan Rustic Wall seating wall. 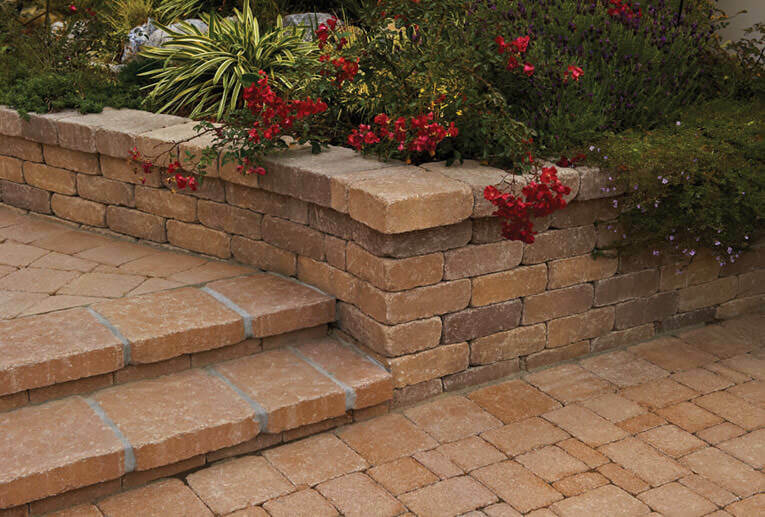 This versatile product combines the look of natural stone with the ease of use of a manufactured unit. 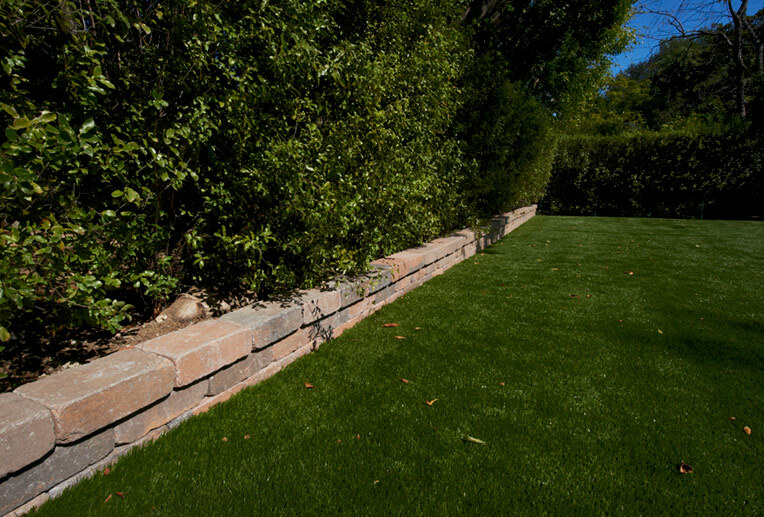 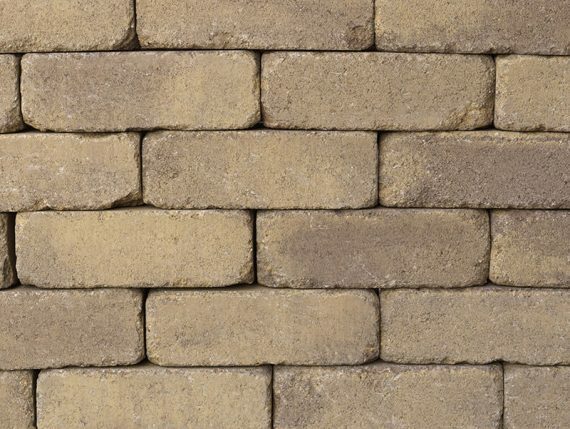 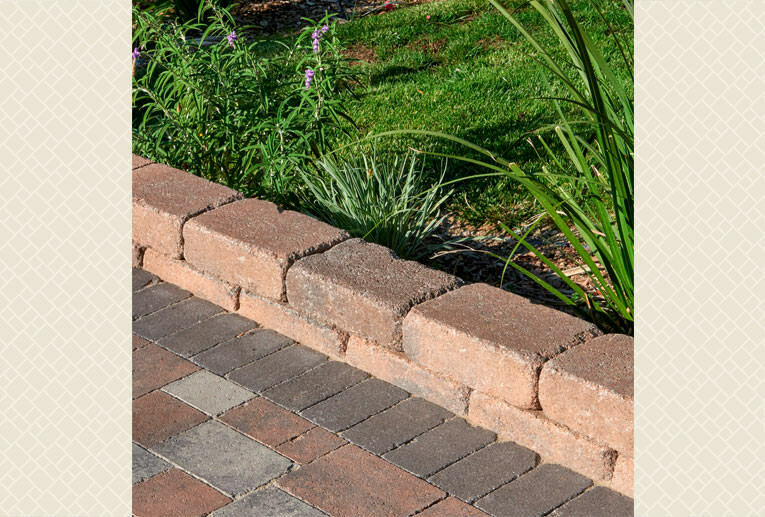 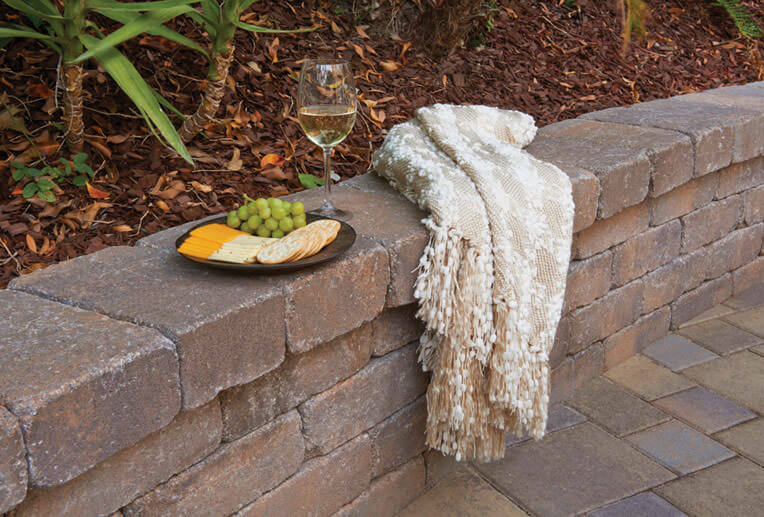 Rustic Wall Stone can be used for low planter walls, pilasters, BBQ’s and outdoor seating areas.